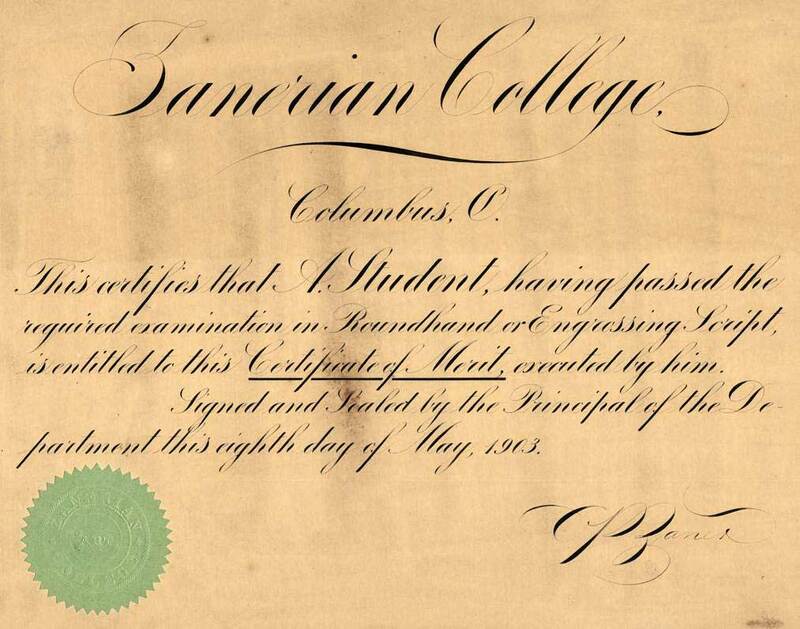 For the rest of Mr. Zaner's life, he continued, with the help of Mr. Bloser, to improve the status of the Zanerian College. 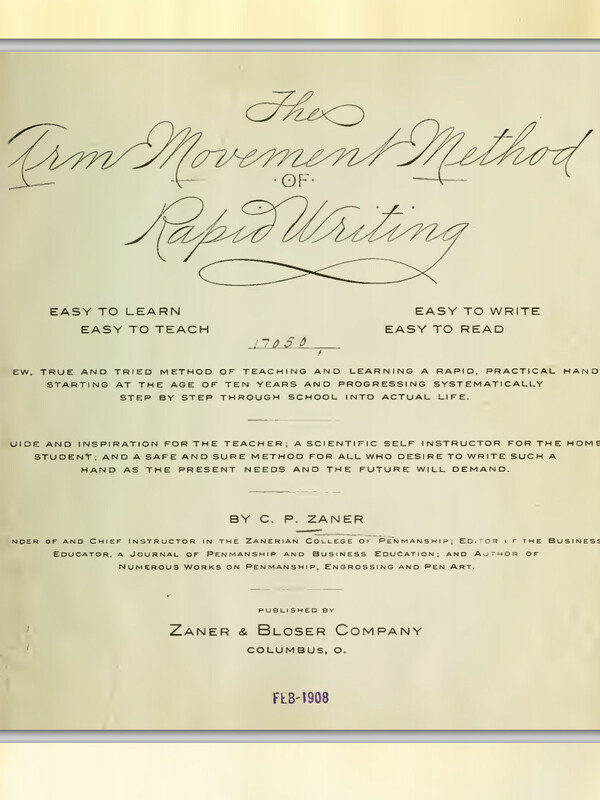 Zaner was instrumental in authoring the texts used at his institution, and through the medium of the Zanerian's penmanship magazine the Business Educator he published countless lessons in every branch of penmanship and pen art, involving the talents of the finest penmen, engrossers, and educators. These men and women, representing the very best in their respective fields, contributed their talents monthly to the magazine, providing penmanship specimens, information on various techniques, and advertising for all manner of supplies, equipment, and correspondence courses. 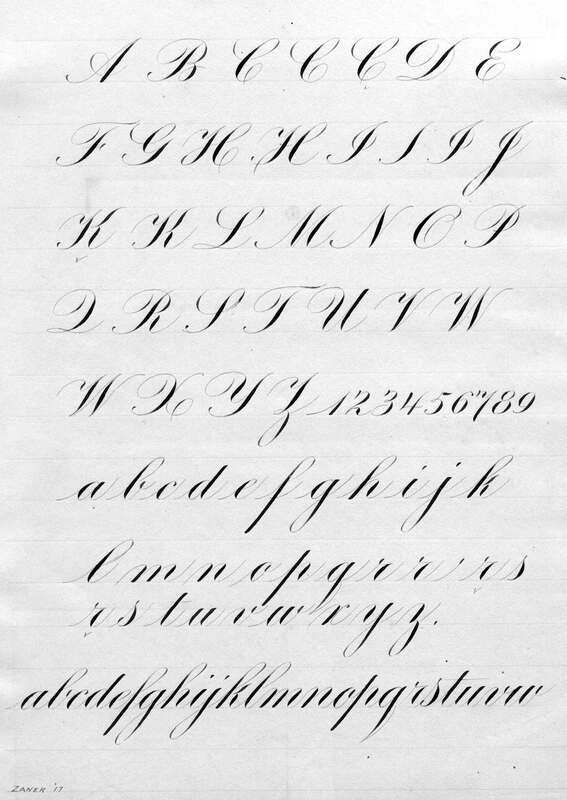 Through Mr. Zaner's vision and insight into the field of Penmanship, countless thousands of people learned the method and manner of such handwriting. 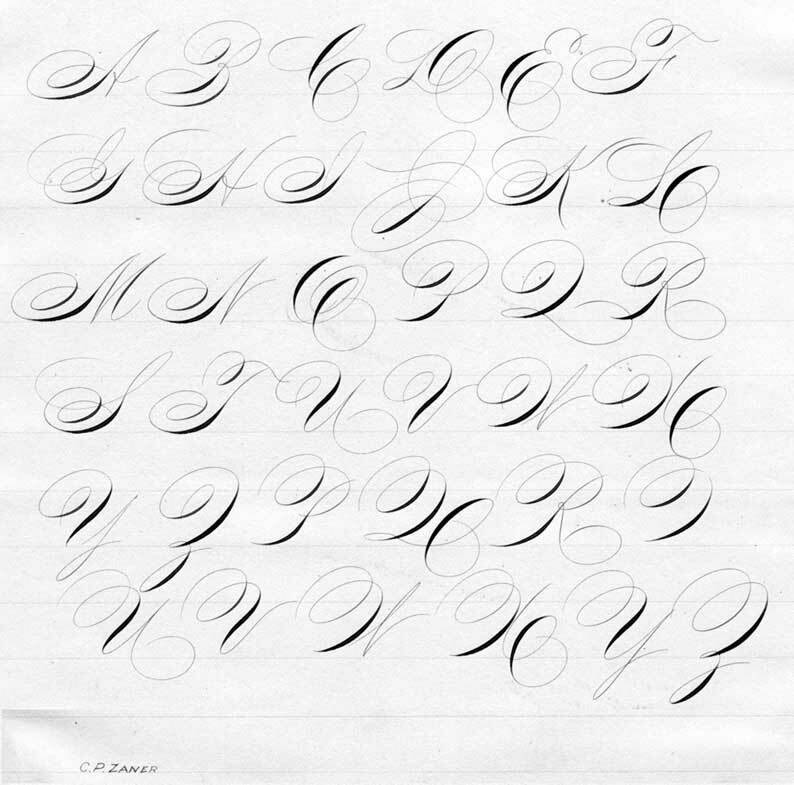 His skill at wielding a pen was legendary, and he thoroughly deserved his unofficial title as "the world's best all around penman" In every standard lettering style, as well as in offhand flourishing, his flawless models were breathtaking examples of perfection in the penman's art. He was a sincere and devoted instructor who inspired his students to achieve their highest potential. 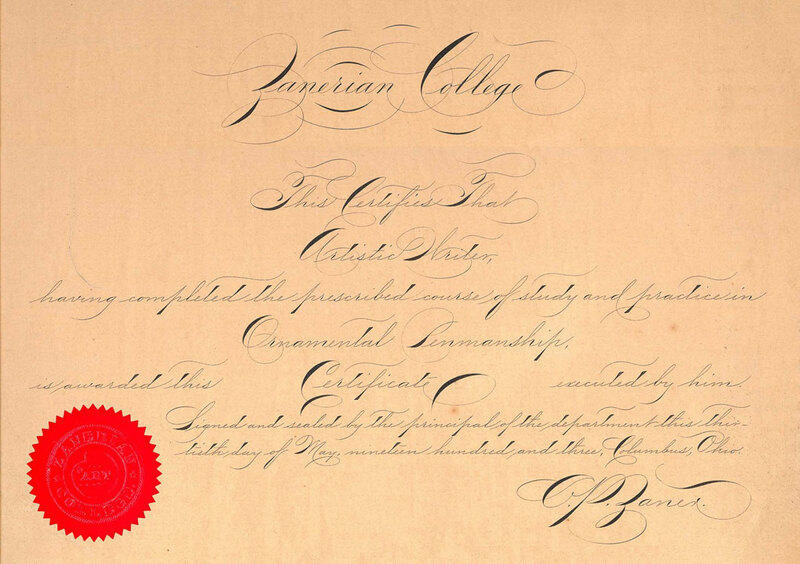 In terms of the Golden Age of Ornamental Penmanship, both C. P. Zaner and E. W. Bloser were pivotal figures where student met master and new careers were launched. 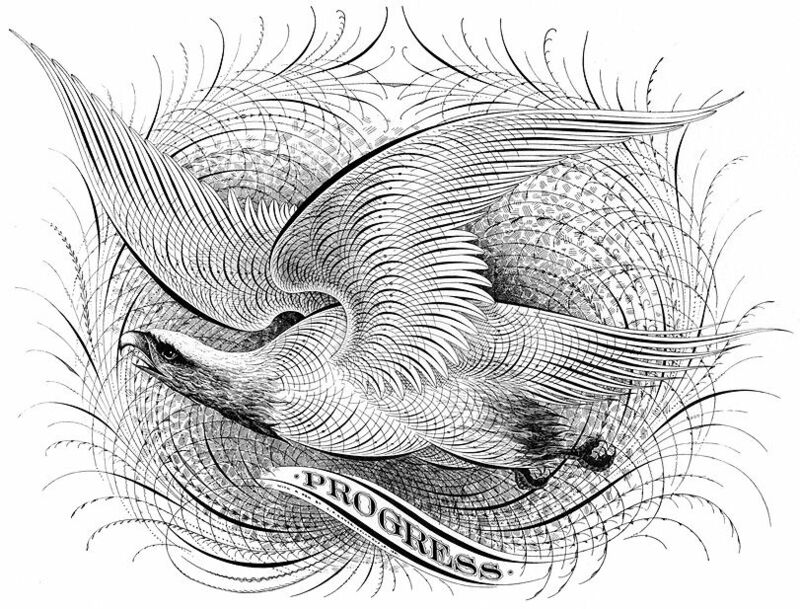 Many of the master penmen from the era were products of the Zanerian. Most of those who were not either contributed to the Business Educator, or taught in its classrooms. 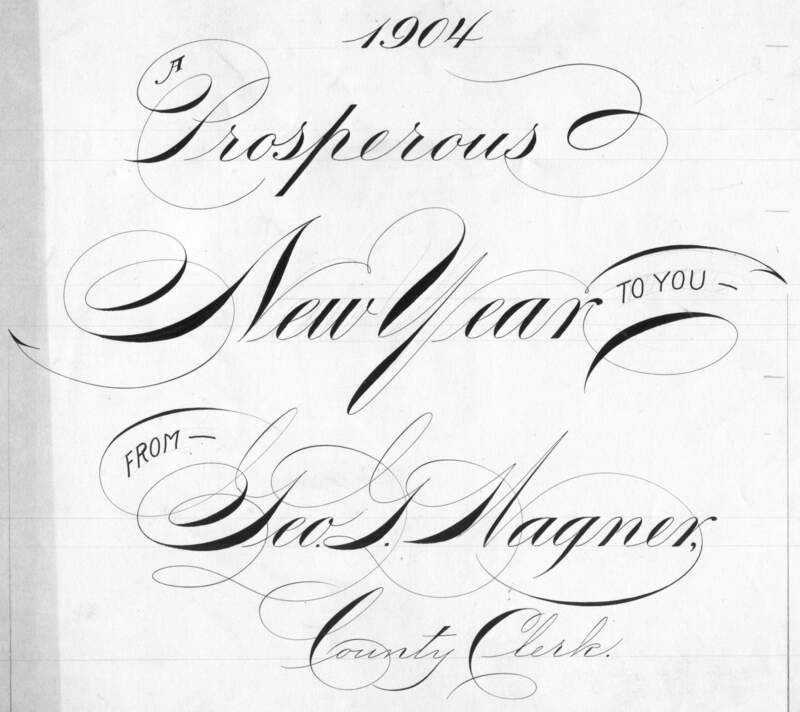 It became the Mecca for penman and penmanship, and its reputation became synonymous with the highest standards of the art. Charles Paxton Zaner's life ended tragically on Sunday evening, December 1, 1918, when the car that he was riding in on a trip back to Columbus was struck by a train that gave no warning of its approach in the darkness. He was 54 years old and in the height of his career. His death was mourned by penmen throughout the country. 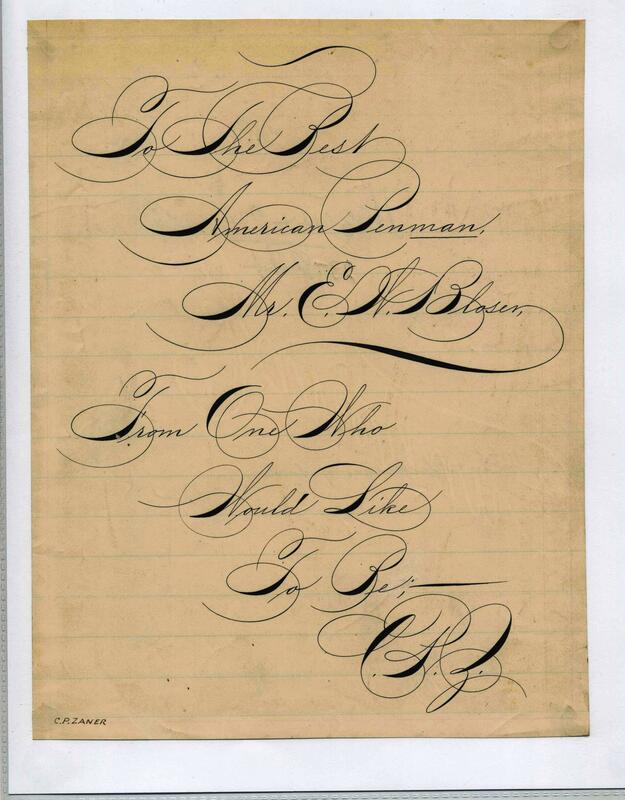 External link: Learn Engrosser’s script (Copperplate) from the man himself, Charles P Zaner. 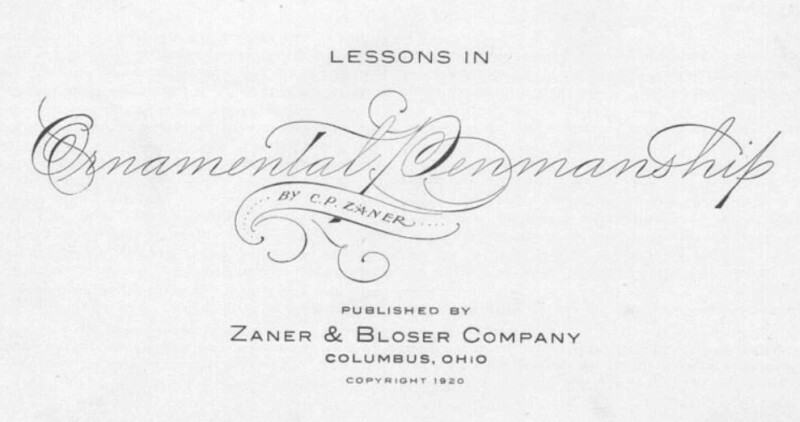 These are scans of the original Zanerian Manual published in 1900. Later editions have script instructions penned by Zaner’s student, EA Lupfer. 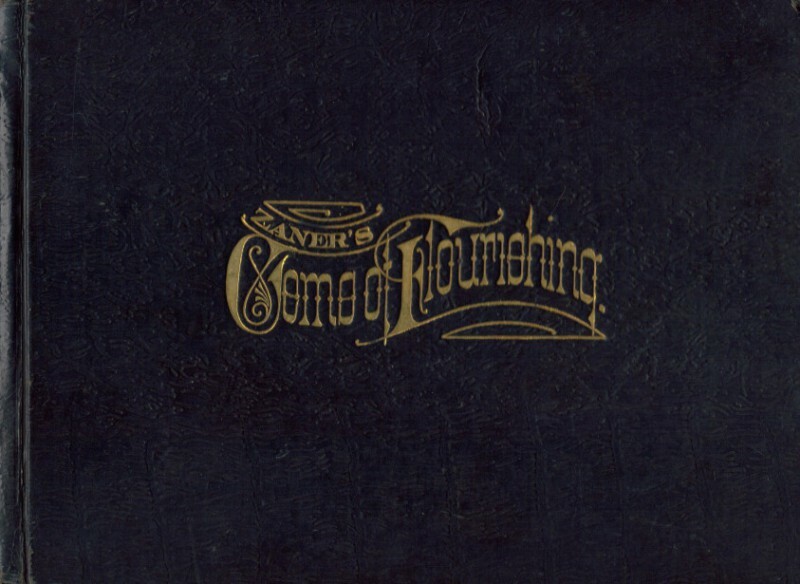 This represents Zaner’s own style of Engrosser’s script.